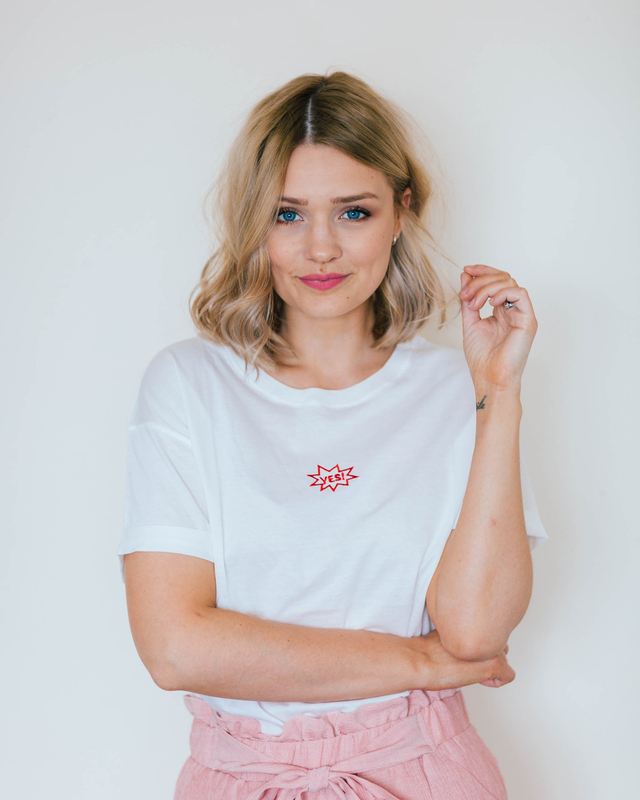 I’m a highstreet girl through and through, so come inside and see five things I picked up from Missguided this week! 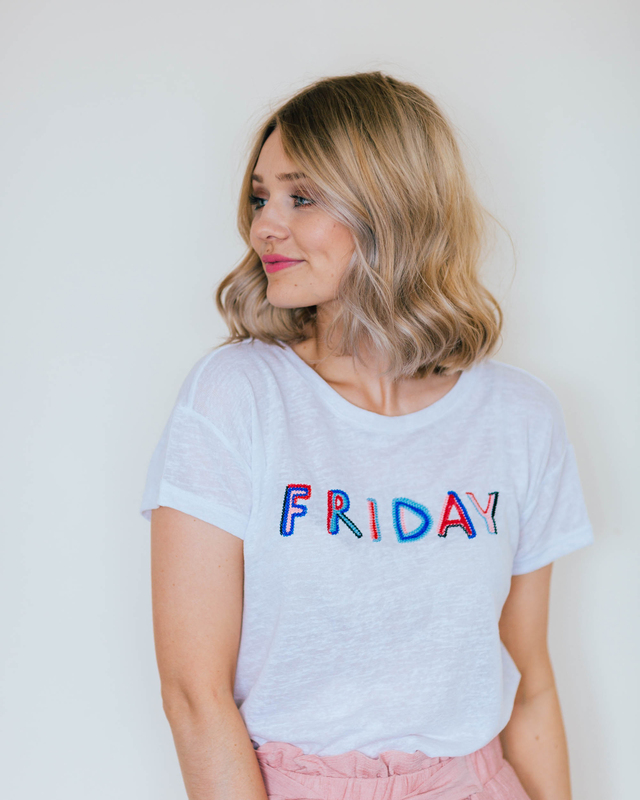 Four T-Shirts I’m Loving – all £18 & under! 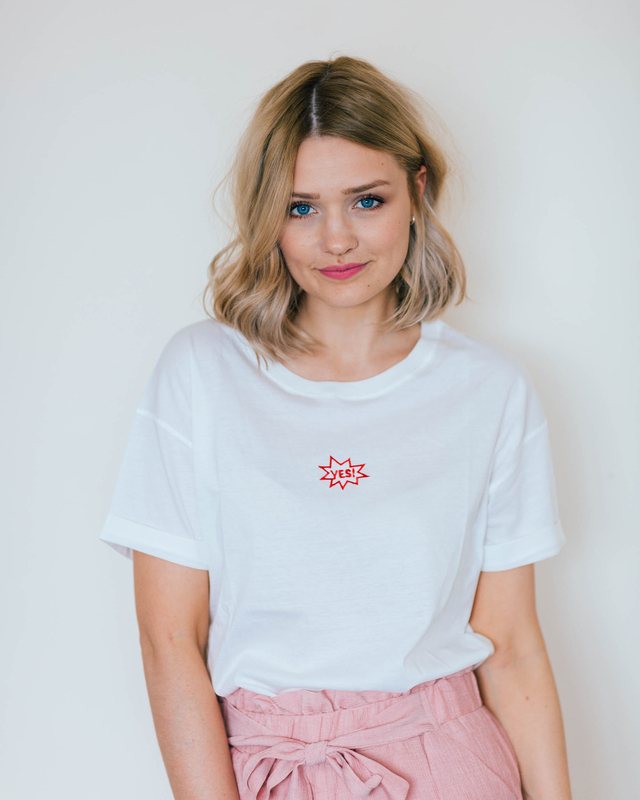 I love a good ol’ simple tee. Whether it be plain, embellished or have a fancy slogan printed on the front. They are not only simple and easy to style up, but also ooze the effortless-but-made-some-effort-look that I’m just loving at the moment. 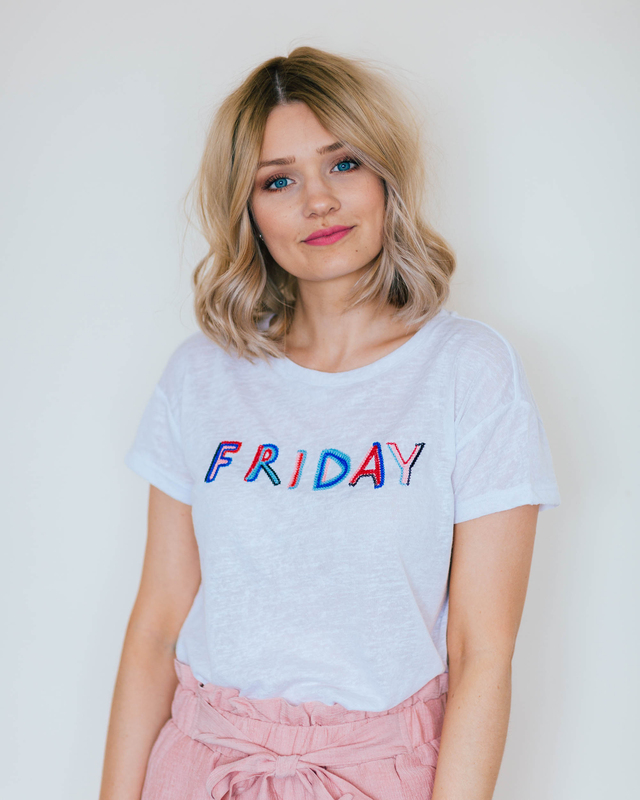 I’ve shopped far and wide to find you guys some of the best simple T-Shirts on the highstreet at the moment and you’ll never guess where I found each and every one of these babes. Now, Amazon is my go-to place for anything I need in life, Budgie seed, vitamins, parasol holders (yep, just bought one…) but who knew they had a pretty amazing Fashion section too?! Not only do they stock other brands, such as New Look, Miss Selfridge, Converse and of course a few higher end brands too.. but they also have their own Fashion brand, named Find. 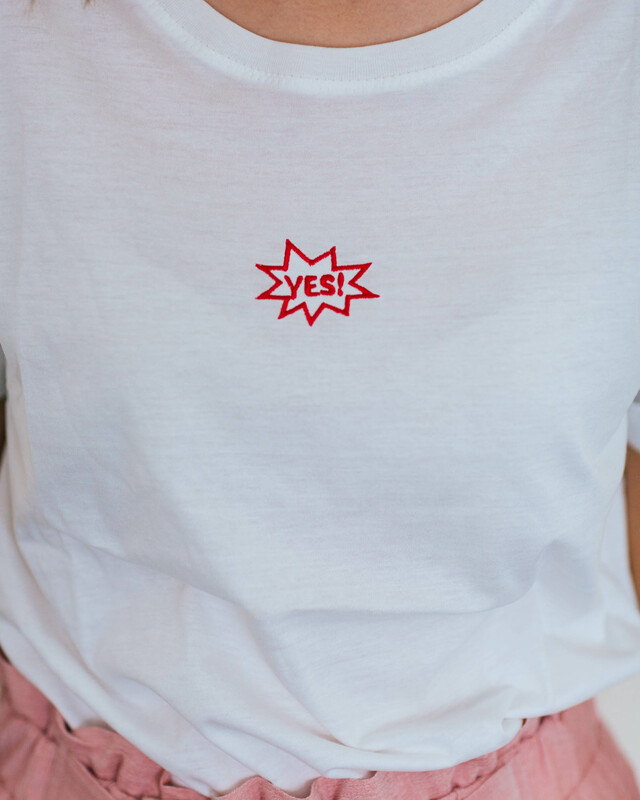 I ordered these tees because I couldn’t resist, to be honest I wasn’t sure how the material would shape up but I can confirm that I’m totally impressed with the quality of these pieces, not only the price points. If you want to see more, carry on reading and of course, I’ve linked my YouTube haul down below so you can see how these look in video-form. 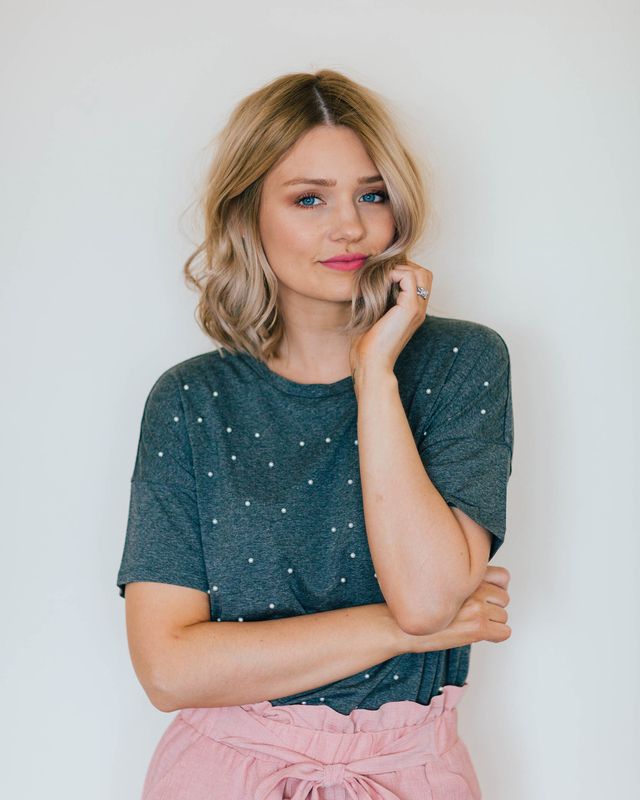 So this little Pearl embellished tee is such a cute one, I just love how simple yet fun it is. First up the pearls give it such a cute vibe and I think this would go with so much in anyones wardrobe – whether it be casual or dressy. I think personally I would wear this with some polkadot trousers, with a small injection of red in my shoes and lipstick.. nicely finished off with a cute silver bag. Of course, swap out the wedges for some evening heels and you have a very cool evening look instantly, which is always a win win for a lady on the go! The material of this feels nice and heavy, which means it fits really nicely and hangs in all the right places. Size wise, I went for a 10 and it fits perfectly, again – very true to size! 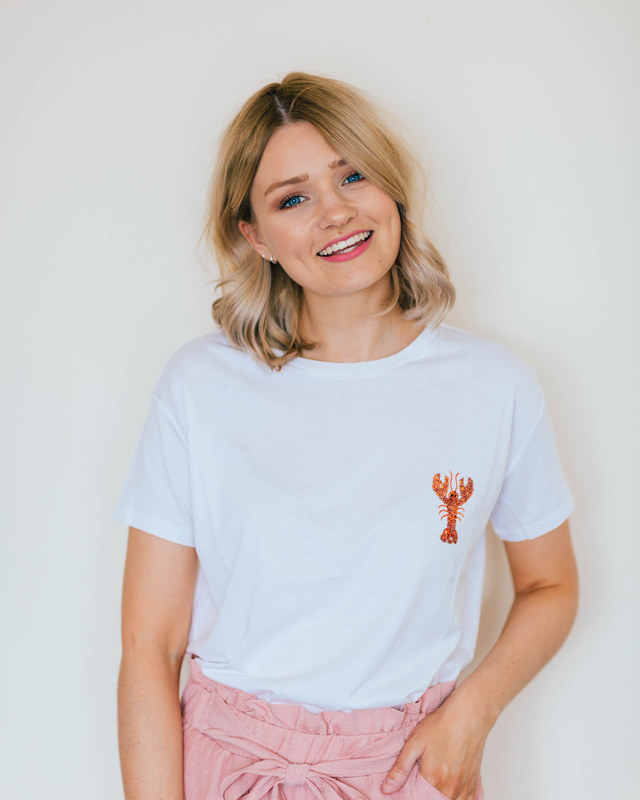 Now this Sequin Lobster tee is definitely a bit of fun. 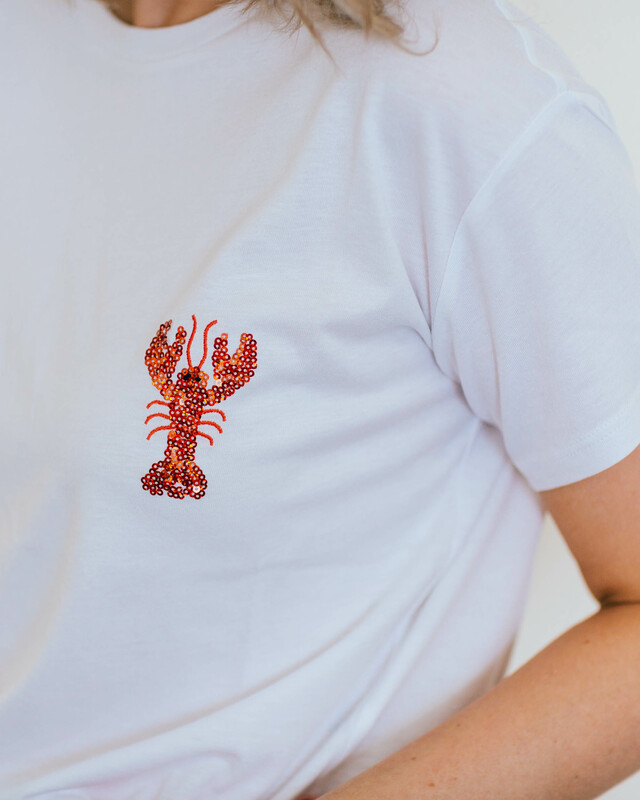 The lobster is indeed sequins and very subtle – infact it’s so small you probably wouldn’t even know what it was from afar. I like the fact it’s a bit different, a bit of fun and of course.. a bit sparkly! 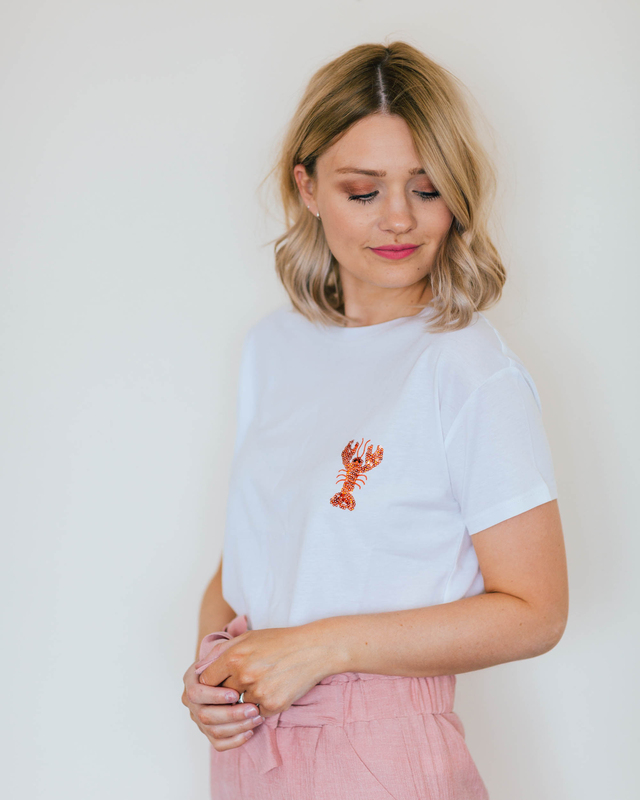 I love styling this one up with oranges to match the little lobster and feel that this little addition makes this outfit so much fun! I’ve been loving wearing this one with bright orange trousers but also mixing it up with my pink culottes too – anything goes, pretty much! The quality of this tshirt is like the others – amazing and I’m so impressed. Size wise, again very true to size and I’m wearing a size 10 here. Let me know in the comments how you would style this one!